This concise, easy-to-use handbook provides rapid access to specific drug facts you need to treat small and large animals. Find precautionary information -- contraindications, side effects, possible adverse reactions, and drug interactions -- highlighted in colored boxes. You won't have to sort through lengthy text to find the information and dose recommendations you need, right when you need them! A companion CD-ROM provides customizable, easy-to-understand client handout instructions and information for 125 of the most commonly prescribed medications. 740 pgs. 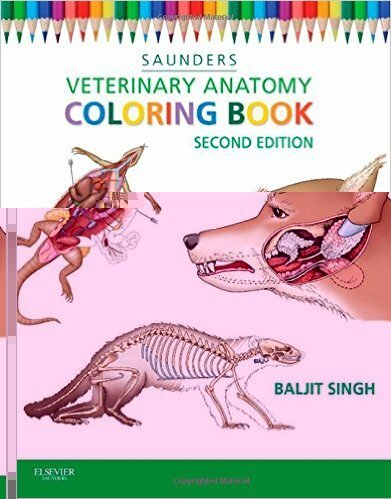 Color your way to a complete mastery of veterinary anatomy with Veterinary Anatomy Coloring Book, 2nd Edition. Approximately 400 easy-to-color illustrations and corresponding anatomical descriptions guide you through the head, neck, back, thorax, abdomen, extremities, reproductive organs, and many more body parts of dogs, cats, horses, pigs, cows, goats, and birds. Plus, a new section on exotics takes you through the anatomy of ferrets, rodents, rabbits, snakes, and lizards to ensure you are well versed in all potential household pets. With this vivid change-of-pace study tool, you have the freedom to master veterinary anatomy in a fun and memorable way. NEW! Section on exotics covers the anatomy of ferrets, rodents, rabbits, snakes and lizards in addition to the anatomy of dogs, cats, horses, pigs, cows, goats, and birds. 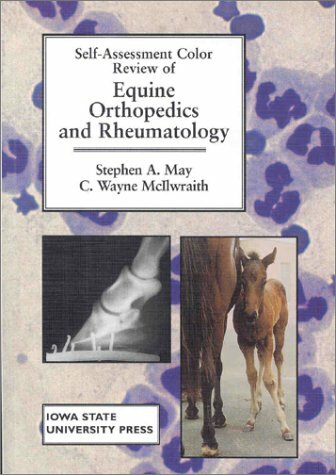 Question & answer format, covering a wide range of orthopedic and rheumatological problems encountered in equine veterinary practice as well as veterinary and equine students. The cases are arranged randomly, just as they would be in life, and the self-assessment format is used to enable the reader to examine each case as it is presented. A superb range of color illustrations and imaging techniques, including radiography, ultrasonography, nuclear scintigraphy and arthroscopy are used to present each case, and each is followed by a thorough explanation. 180 pgs. 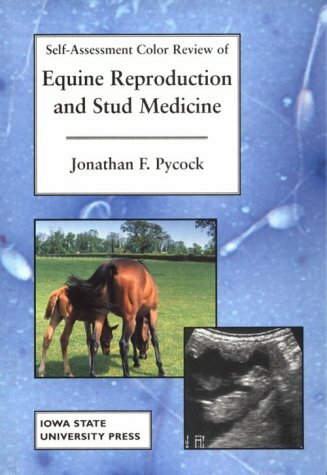 Involvement with equine reproduction is very common for the veterinarian in practice, and there is an ever-increasing requirement for continuing education, particularly in the light of recent advances in clinical diagnosis and treatments, such as the routine use of ultrasound, improved standards of foal care and the importance of artificial insemination. This Self-Assessment Color Review presents the reader with over 200 cases using superb-quality color photographs and questions, plus detailed explanatory answers. The random order of the cases enables readers to think fully about a problem and devise a solution, just as in their daily work. 208 pgs. Question & Answer format, this Self-Assessment Color Review presents the reader with over 250 short cases using high quality color photographs and questions pitched at various levels of expertise, plus detailed explanatory answers. The cases appear randomly, just as in real life, and allow the reader--by solving the clinical puzzle--to make differential diagnoses, treatment plans and prognoses.Practitioners and students at all levels, as well as herpetologists, professional and amateur, will find in this Color Review a wealth of problem-oriented material to learn from and enjoy in their formal and informal training and continuing education. 192 pgs. by: Brown, Susan A. 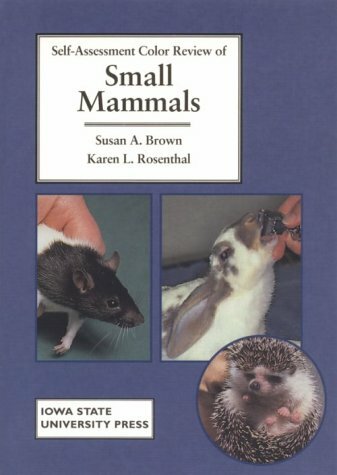 & Rosenthal, Karen L.
Question & answer format: The editors of this book have gathered together contributions from 29 experts who cover all aspects of medicine and surgery in small mammals including rabbits, guinea pigs, rats, mice, hamsters, gerbils, hedgehogs, ferrets, primates, squirrels, foxes, raccoons and pot-bellied pigs. The random self-assessment question and answer format is used to enable the reader to think through each case step-by-step. Each of the 216 questions are followed by a thorough explanation to provide diagnosis and a suggested treatment plan. Filled with illustrations, color photos, x-rays, charts and tables. 192 pgs. Question & answer format: Dentistry is among the fastest growing areas of companion animal practice. In this color review a group of world-renowned experts provide systematic coverage of the subject as randomized self-assessment case presentations, in the form of integrated questions, superb illustrations - color photographs, imaging and tables - and detailed explanatory answers. The book is designed to stimulate interest and promote further study. Its appeal is to veterinary students preparing for examinations and to veterinary practitioners in their continuing professional development. Coverage includes dogs, cats, horses, rabbits, and rodents. Over 300 Color & B/W photos, imaging diagrams & tables. 224 pgs. 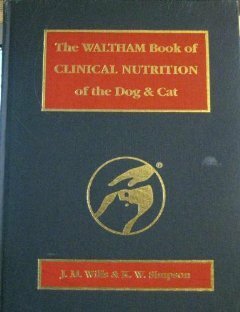 Contents: Nutrition; pet foods; feeding dogs; feeding cats; anorexia; obesity; gastrointestinal, pancreatic & hepatic diseases; renal failure; feline urologic syndrome; canine urolithiasis; heart failure; skeletal & neuromuscular diseases; index of dietary managment. Appndices on: diet types; prepared dietary foods; recipies for homemade dietary foods; nutrient content of human foods. Over 500 pgs. Deals with cattle, sheep, goats, horses, pigs, poultry, cats & dogs. The forst part of the book concerns itself with the prevention of problems. The second part deals with the animal's health & the identification of problems. Arranged according to the 'system': respiratory, urinary, reproductive, skin, hair, etc. Also chapters on metabolic disorders, mineral deficiencies, first aid, and minor surgical procedures. B/W photos. 186 pgs. Breeding, feeding, marketing, processing, behavior, pasture, hay, housing, equipment, diseases, showing & judging, meat & milk, wool, business aspects, registry organizations, agriculutural magazines, & more. Covers all stock animals (cattle, sheep, goat, swine, horses). 1192 pgs. Swine industry, breeds, genetics, reproduction, nutrition, feeding, grains, forages, swine behavior & management, housing, marketing & slaughtering, pork & byproducts. 662 pgs. A holistic approach to training, healing & communication with animals. by: Burrows, George E & Tyrl, Ronald J. 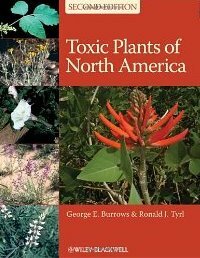 An up-to-date, comprehensive reference for both wild and cultivated toxic plants on the North American continent. In addition to compiling and presenting information about the toxicology and classification of these plants published in the years since the appearance of the first edition, this edition significantly expands coverage of human and wildlifeboth free-roaming and captiveintoxications and the roles of secondary compounds and fungal endophytes in plant intoxications. With more than 2,700 new literature citations document identification of previously unknown toxicants, mechanisms of intoxication, additional reports of intoxication problems, and significant changes in the classification of plant families and genera and associated changes in plant nomenclature. It is a comprehensive, essential resource for veterinarians, toxicologists, agricultural extension agents, animal scientists, and poison control professionals. Color photos. 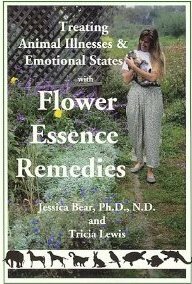 This book very simply gives concrete advice on what flower essence remedies can do for animals. It lists the flower and several examples of how that particular flower can help the situation. The book explains what flower essences are, what to do with them, how to prepare them, and where to buy them.The formulas and use of these natural remedies are easily explained in terms for novice and expert alike. 82 pgs. 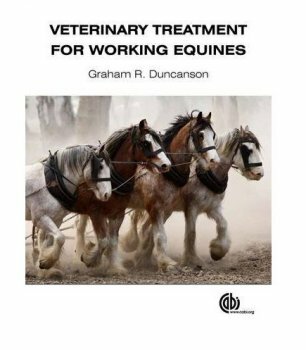 Illustrations & text of the holistic approach to working with animals. 108 pgs. This edition provides details of husbandry, feeding, breeding, common procedures and disease control for some 45 different groups or species. Additional sections deal with more general topics, such as the selection of animals, their housing and hygiene. Illustrations. 933 pgs. Types of tranquillizers, administration, lions, rhion, African hoofstock, etc. Treatise on the diseases of domestic animals (horse, cattle, swine, sheep, goats, poultry) written in laymans terms. 256 pgs. The book begins with the history & concepts of acupuncture & continues with the anatomic & neurophysiologic basis of acupuncture, research on acupuncture, practical techniques, instrumentation, & point selection. Part 2 covers acupuncture in small animals, including a canine atlas, avian acupuncture, & chapters that focus on disorders grouped by body systems. Part 3 is devoted to acupuncture in large animals. It begins with 3 different equine atlases, followed by equine acupuncture treatment according to body system, & concludes with acupuncture in cattle & a porcine acupuncture atlas. Part 4 covers failures in veterinary acupuncture & chinese herbology in veterinary medicine. Illustartions. 707 pgs. This comprehensive and detailed volume is aimed at helping the sheep farmer to increase productivity and profitablity of the sheep enterprise and to improve the welfare of the sheep, by upgrading the husbandry and health status of the flock. A major section describes the latest techniques for improving flock fertility. It should be invaluable to agricultural and veterinary students as well as to veterinarian surgeons in general who treat sheep only occassionally. 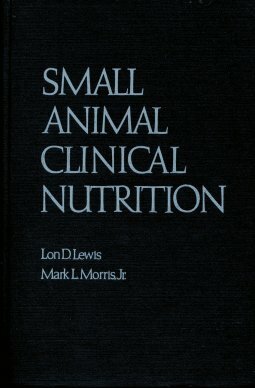 Chapters include: Health & Disease, Prepartion for Mating, Manipulation of Breeding, Management During Pregnancy, Abortion, Other Diseases Encountered During Pregnancy, Lambing Time, Care & Welfare of Newborn Lambs, Diseases of Newborn Lambs, Pneumonia & Other Respiratory Diseases, Trace Elements, Minerals, Vitamins & Water, Internal Parasites, Skin Parasites of Sheep, Miscellaneous Skin Eye & Gum Conditions, Foot Lameness, Poisons & Radioactivity. B/W & Color photos. 689 pgs. The busy exotic animal practitioner will find this unique issue packed with useful, practical information on uncommon species. Species covered include: kinkajou, macropods, ground and tree squirrels, servals and caracals, sugar gliders, prairie dogs, hedgehogs, fennec foxes, skunks, degus, opossums, Patagonian cavies, coatamundi and raccoons, lemurs, agoutis, invertebrates, and fish. Contents: Considerations for kinkajou captive diets; Nutrition & behavior of coatis & raccoons; Macropod nutrition; Feeding behavior & nutrition of the sugar glider; Behavioral & nutritional aspects of the Virginia opossum; Nutrition & behavior of degus; Nutrition care & behavior of captive prairie dogs; Behvahior nutrition & veterinary care of patagonian cavies; Determinants for the diet of captive agoutis; Nutrition of tree-dwelling squirrels; Nutrition & behavior of fennec foxes; Nutrition & behavior of striped skunks; Nutrition & natural history of the serval & caracal; Feeding behavior & nutrition of the African Pygmy hedgehog; Nutrition & behavior of lemurs; Captive invertebrate nutrition; Nutrition feeding & behavior of fish. B/W photos. 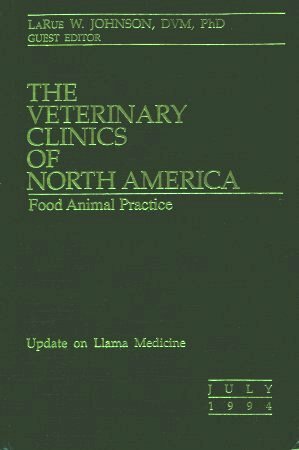 Edited by: Johnson, LaRue W.
Contains info on: llama nutrition, clinical pathology, neonatology, dermatology, parasites, herd health, reproductive physiology of the male, reprodcutive endocrinology of llamas & alpacas, advanced reproductive technologies in South American camelids, medical problems of llamas, hyperthemia in llamas & alpacas, third compartment ulcers, juvenile llama immunodeficiency syndrome, viral diseases, cardiology, ophthalmology, neurologic diseases of llamas, health care of geriatric llamas & alpacas, congenital defects, & llama handling & training. B/W photos, charts & graphs. Veterinary Clinics of North America: Small Animal Practice offers you the most current information on the treatment of dogs and cats; updates you on the latest advances; and provides a sound basis for choosing treatment options. Each issue focuses on a single topic in small animal practice and is presented under the direction of an experienced guest editor. 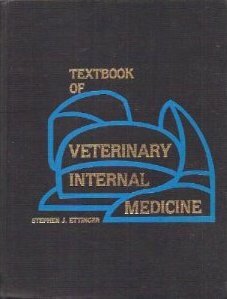 This volume covers: Pathophysiologic Basis of Behavior, Behavior of Sick Animals, Trainers and Chockers, Seperation Anxiety, Cat Elimination Problems, Feline Scrathcing and Destruction and the Effects of Declawing, Aggression, Feeding Problems, Psychotropic Drugs, Psychological well-being, Stereotypic or Obsessive-Compulsive Disorders. Veterinary Clinics of North America: Small Animal Practice offers you the most current information on the treatment of dogs and cats; updates you on the latest advances; and provides a sound basis for choosing treatment options. Each issue focuses on a single topic in small animal practice and is presented under the direction of an experienced guest editor. This volume covers: Definition of terms and concepts, anatomy of feline lower urinary tract, fungal infections, interstitial cystitis, detrusor-sphincter dyssynergia, overview of diagnosis, diet on feline urinary pH, feline crystalluria, diagnostic imaging. Pages 1-422. Veterinary Clinics of North America: Small Animal Practice offers you the most current information on the treatment of dogs and cats; updates you on the latest advances; and provides a sound basis for choosing treatment options. Each issue focuses on a single topic in small animal practice and is presented under the direction of an experienced guest editor. This volume covers: urodynamic procedures, biopsy, urethral obstruction, urethral catheters, pharmacological management, lower urinary tract diseases. Pages 423-655. Veterinary Clinics of North America: Small Animal Practice offers you the most current information on the treatment of dogs and cats; updates you on the latest advances; and provides a sound basis for choosing treatment options. Each issue focuses on a single topic in small animal practice and is presented under the direction of an experienced guest editor. This volume covers: Anatomy of mouth and teeth, radiographic exam and interpretation, control of peridontal disease, gingivitis, lesions, endodontics, malocclusion, treatment of jaw fractures. 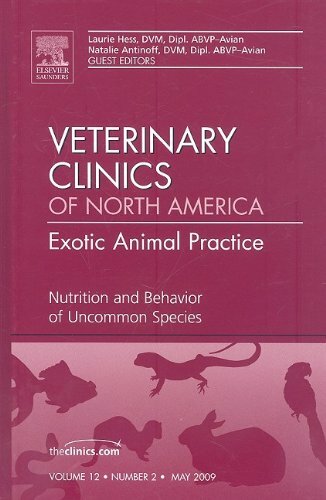 Veterinary Clinics of North America: Small Animal Practice offers you the most current information on the treatment of dogs and cats; updates you on the latest advances; and provides a sound basis for choosing treatment options. Each issue focuses on a single topic in small animal practice and is presented under the direction of an experienced guest editor. This volume covers: grooming, diagnostic procedures, fleas and pesticides, eosinophilic skin diseases, alopecia, skin diseases, nodules and draining tracts, recent advances and recommendations for therapy, cutaneous and subcutaneous neoplasms, therapy for feline dermatoses. Veterinary Clinics of North America: Small Animal Practice offers you the most current information on the treatment of dogs and cats; updates you on the latest advances; and provides a sound basis for choosing treatment options. Each issue focuses on a single topic in small animal practice and is presented under the direction of an experienced guest editor. This volume covers the management of pain. Veterinary Clinics of North America: Small Animal Practice offers you the most current information on the treatment of dogs and cats; updates you on the latest advances; and provides a sound basis for choosing treatment options. Each issue focuses on a single topic in small animal practice and is presented under the direction of an experienced guest editor. 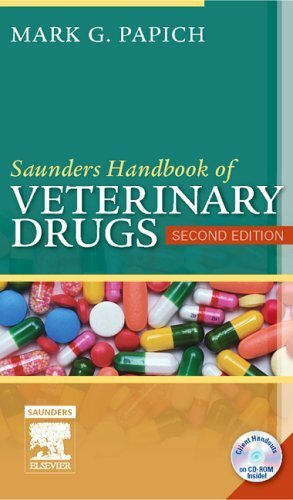 This volume covers: Vaccines and vaccinations of felines and canines, adverse events, liability for use and misuse, recent advances in treatment of vaccine associated sarcomas, reading a label, rabies postexposure prophylaxis (human and domestic animal considerations), and importation of dogs and cats to rabies-free areas of the world. 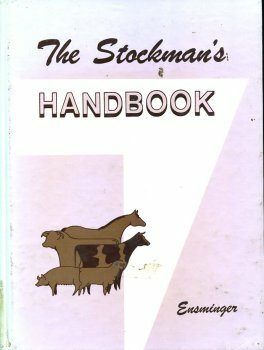 Handbook for the livestock owner: an gricultural school textbook designed for the large-scale producer of diary or meat animals or just an everyday dirt farmer who keeps a few cows, pigs and chickens. New facts on the diagnosis, treatment and prevention of the diseases of farm animals. B/W photos with 233 illustrations. 384 pgs. The first book to address the need for a defintive reference book devoted entirely to the principles & applications of nursing exotic species. 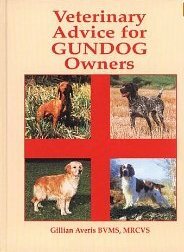 Information on husbandry, nutrition, handling, anatomy, chemical restaint & provides an overview of diseases & treatments. Aimed specifically at veterinary nurses & technicians. 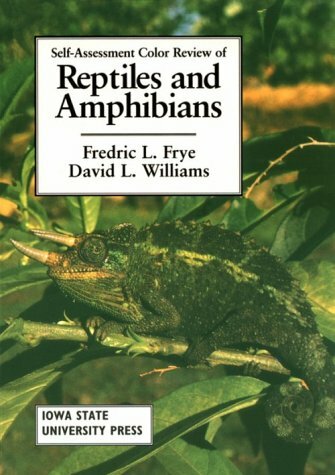 Covers avain species, reptiles & amphibians, & small mammals. Line drawings, B/W & color photos. 314 pgs. Provides pertinent information on paraite life cycles, importance, location in the host, zoonotic potential, current literature, diagnosis, and treatment. 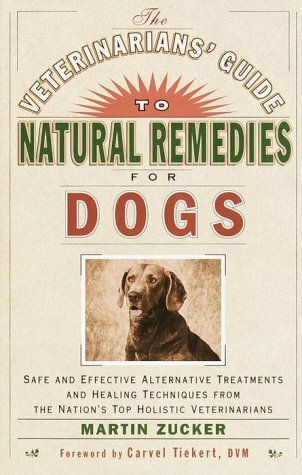 Also includes step-by-step instructions for the most common diagnostic procedures used in routine veterinary practice. Sections are organized by animal host species: domestic animals, birds, ratites, laboratory animals, wildlife, reptiles, marine mammals, and humans. Over 500 B/W photos and figures. 235 pgs. Drug reference for veterinarians. Includes VPB Company index, brand and generic name index, product category index, product information, and many useful appendices. 1373 pgs. Anatomy, Diseases and Treatment of Domestic Animals. Also containing a full description of medicines and receipts. 416 pgs. 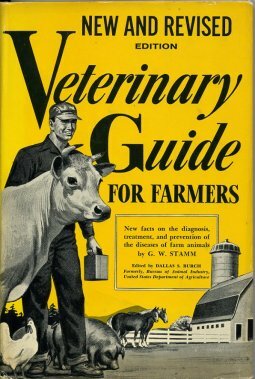 Informative career guide, pioneer veterinarians, history of veterinary medicine. Edited by: Fowler, Murray D.V.M. 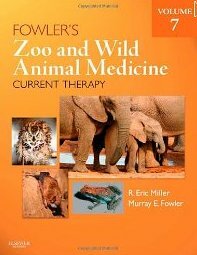 This thoroughly revised, up-to-date text covers diagnosis and treatment of all zoo and wild animals, including amphibians, reptiles, birds, mammals, and camelidae. Logically organized by species, the consistent, user-friendly format addresses an animal's biology, unique anatomy, special physiology, restraint and handling, special housing requirements, feeding, surgery and anesthesia, diagnostics, and diseases. Multinational contributors bring their expertise related to many of the species from countries outside of North America. 992 pgs. With expert contributors from around the world sharing their knowledge on 57 new cutting-edge areas of interest, Zoo and Wild Animal Medicine, Volume 6 continues to provide outstanding coverage of today's most relevant topics. 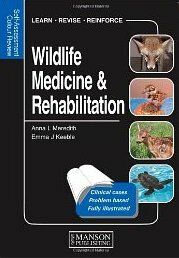 This book is an essential resource in zoo and wild animal medicine, addressing the special challenges posed by individual and herd medical management, newly emerging diseases in diverse wild animal populations, the effect of habitat loss and destruction on wildlife species, and the utilization of zoo animals in the surveillance and detection of potential zoonoses. The user-friendly current therapy approach continues to serve a vital function in the field by fostering a conservation biology ethic, bridging the gap between captive and free-ranging wild animal medicine, from a diverse group of experts. .Includes practical guidance on such topics as behavioral training for medical procedures and the use of infrared thermography. Divided into four sections - Conditions Affecting Multiple Species, Poikilotherms, Aviand Medicine, and Mammals - to help you find the information you need quickly. Extensive contributor list includes multinational contributors offering expert information on species from around the world. 512 pgs. 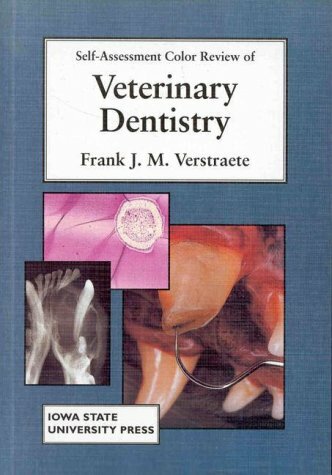 This is the Veterinary Consult version of this title & it provides electronic access to the complete content of this book allowing you to download it on to your computer. Veterinary Consult allows you to electronically search your entire book, make notes, add highlights, and study more efficiently. Edited by: Miller, R. Eric D.V.M. & Fowler, Murray E. D.V.M. With coverage of current issues and emerging trends, Fowler's Zoo and Wild Animal Medicine, Volume 7 provides a comprehensive, all-new reference for the management of zoo and wildlife diseases. A Current Therapy format emphasizes the latest advances in the field, including nutrition, diagnosis, and treatment protocols. Cutting-edge coverage includes topics such as the "One Medicine" concept, laparoscopic surgery in elephants and rhinoceros, amphibian viral diseases, and advanced water quality evaluation for zoos. Editors R. Eric Miller and Murray E. Fowler promote a philosophy of animal conservation, bridging the gap between captive and free-ranging wild animal medicine with chapters contributed by more than 100 international experts. 688 pgs. 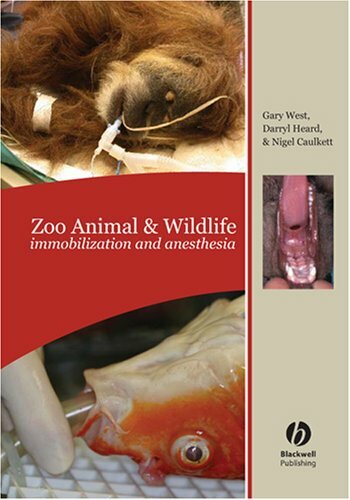 "Zoo Animal and Wildlife Immobilization and Anesthesia" is the definitive, comprehensive reference for the growing fields of zoo, wildlife, and exotic animal veterinary medicine. This book covers key aspects of immobilization and anesthesia from pharmacology and restraint to supportive care. Alongside these chapters the editors have brought together an impressive collection of species specific chapters that will be an invaluable resource to those called upon to treat these animals. Table of contents: Pharmacology and Drug Delivery; Supportive Care, Monitoring, and Complications; Physical Restraint; Invertebrate, Fish, Amphibian, and Reptile anesthesia; Bird Anesthesia; Mammal Anesthesia. B/W & Color photos. 718 pgs.